Meditation is the practice of narrowing your attention to a certain point of reference. This relaxation technique not only reduces stress  but has also been shown to lower blood pressure and boost the immune system. There are many ways to meditate, each with varying effects on the brain. Focused attention and open monitoring meditation are two of the common practices backed by scientific research. The former involves focusing on something specific, such as a bodily sensation or a particular external object, while the latter involves awareness of everything that’s happening around you. The frontal lobe, the part that controls our emotions and personality, becomes inactive to some extent. The parietal lobe, which processes information from our senses, slows down. The reticular formation, which mediates our overall level of consciousness, receives minimal arousal signal. The thalamus, which relays sensory data and acts as the center for pain perception, gets less incoming information. 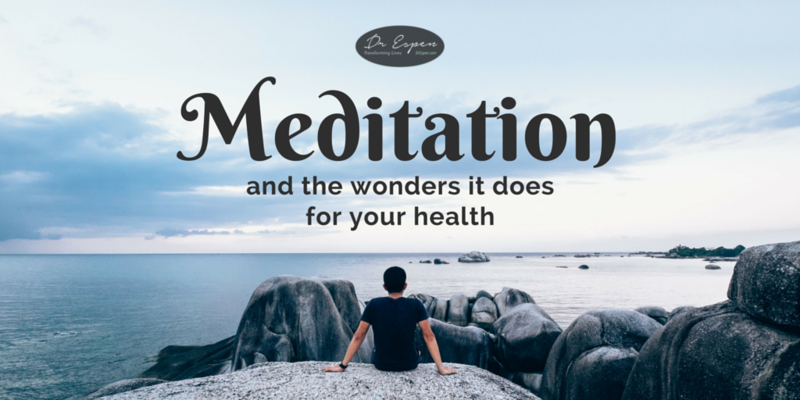 Meditation loosens the neural pathway connections, allowing us to relax amidst situations and sensations we would normally find alarming. It also strengthens the connection between our reasoning ability, bodily sensations and fear centres, thus enabling us to rationally assess unpleasant scenarios before reacting. Being in a meditative state enables us to focus our attention on one sensation or a particular object. We can also bring back our focus when it drifts from our reference point. Doing this on a regular basis can have a lasting effect on our overall concentration. The amygdala, which plays a crucial role in the processing of emotions, has decreased activity during meditation. However, it can become much more responsive afterwards. Regular meditation has also been proven to strengthen the part of the brain that’s tied to empathy. Open-monitoring meditation enables us to come up with all sorts of new ideas. Paying close attention to our thoughts and everything that happens around us without reacting promotes divergent thinking. It frees our minds from rigidity, making it easier to come up with outside-the-box ideas. Meditation improves the brain waves that screen distractions, thus enhancing information retention and recall. Regular meditation may also thicken the cerebral cortex, which is responsible for mental functions like memory, learning, and concentration. If you’re looking to meditate regularly but don’t know how to get started, just relax. Don’t think about it too much or be confused by all the disciplines and techniques available. Just do what feels right to you. Get this 15-minute Guided Chakra Meditation MP3 that is based on the original work of Dr. Espen Hjalmby and Soul SuperClinics.